Norwegian Cruise Line Holdings Ltd. announced enhancements to the organizational structure of its Asia Pacific operations Tuesday. The changes will enable it to further leverage the extensive corporate resources and expertise already in place in the region and continue to strengthen its presence in the Chinese cruise market. Steve Odell, Senior Vice President & Managing Director Asia Pacific, has expanded his role to include the company’s China operations along with the greater Asia Pacific region. Alex (Yucheng) Xiang has been promoted to Managing Director of the company’s China operations, reporting to Odell. David Herrera, previously President of the company’s China operations and based in Shanghai, will relocate back to Miami as Senior Vice President of Strategy and Corporate Development. Since establishing the company’s offices in Shanghai and Beijing in 2015 and working closely with travel partners and government officials, Herrera has positioned the company for long-term success in China. Under Herrera's leadership, the team successfully launched the first Norwegian Cruise Line ship based in China, Norwegian Joy, in 2017. With an established local team, a ship purpose-built for the Chinese cruise market and a commitment to delivering on Norwegian Cruise Line’s ‘First Class at Sea’ promise, Herrera and his team achieved the fastest growth of any market for the company in 2017. 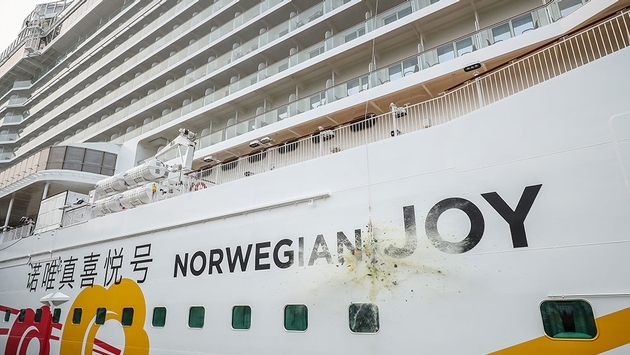 Carrying this momentum forward, Norwegian Joy will sail its first full year in the market in 2018, essentially doubling the company’s capacity in the region. As he takes on this new role, Herrera will report directly to Frank Del Rio, president and chief executive officer of Norwegian Cruise Line Holdings Ltd.
"In his expansive new role, David will preside over our global corporate initiatives from our headquarters in Miami," said Frank Del Rio, president and chief executive officer of Norwegian Cruise Line Holdings Ltd.
"Since our announcement to enter the Chinese cruise market, David has led our local efforts and has positioned us for continued growth. We are thrilled with what he and the team have achieved in China and look forward to further success in this market." As part of this new organizational structure, Alex (Yucheng) Xiang, has been promoted to Managing Director of the company’s China operations and will serve as the first senior officer in the region. Xiang has been with the China team since day one as Vice President of Sales and has played a critical role in the region’s success to date. When his promotion goes into effect February 2, he will assume leadership of the dedicated teams in Shanghai and Beijing. 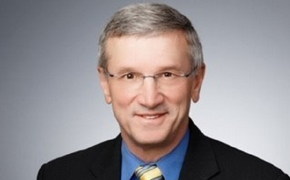 Prior to joining the company, he held a number of senior executive roles in sales, marketing and business development, including Deputy General Manager, Sales & Marketing in China for Royal Caribbean Cruise Service (China) Co. Ltd.
"We are thrilled to have someone of Alex’s caliber to lead our operations in China," said Harry Sommer, Executive Vice President, International Business Development for Norwegian Cruise Line Holdings Ltd.
"I have worked closely with Alex since he joined the team and he has been an integral part of every success we have achieved. I have full confidence that Alex will continue the great work David started in the region and continue to lead our China team from one success to the next." Steve Odell will take on an expanded role overseeing the greater Asia Pacific region, including China. Odell joined the company in October 2015 to spearhead the launch of the company’s Asia Pacific headquarters in Sydney, bringing with him 30 years of cruise industry experience, 17 of those in Asia. In his expanded role, he is responsible for the strategic expansion, vision and continued growth of the company’s presence in the fast-growing Asia Pacific market. He is currently Chairman of CLIA Australasia and a founding board member of the Asia Cruise Association. Odell will continue to report to Harry Sommer. SOURCE: Norwegian Cruise Line Holdings Ltd. press release.